This entry was posted in Life/Photography and tagged City, Masaryk Station, Masarykovo nadrazi Praha, Minimalist, pest, pigeon, posyaday, Prague, weekly photo challenge. Bookmark the permalink. 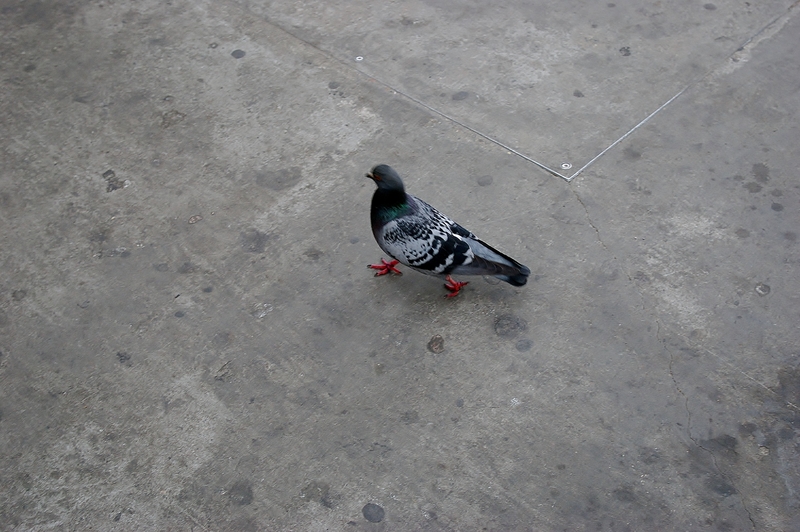 Such a purposeful stride that pigeon has. Well caught. Bugger~! The thrush I snapped yesterday in the park is suddenly redundant. Nice pigeon, though—squeaky wings, ever noticed? Not enough oil in their diet. I love this shot, distinctly reminds me of someone walking in a haste. Almost feels like the bird is mimicking humans.